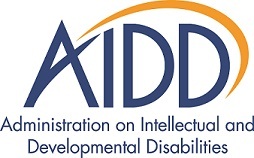 Access to Integrated to Employment is funded in part by the Administration on Intellectual and Developmental Disabilities, Administration on Community Living, US Department of Health and Human Services. A compilation of federal and self-collected data sets, StateData.info allows users to generate customized charts, conduct their own analyses, and download raw data about disability and employment. 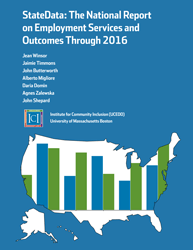 This annual survey describes the nature of day and employment services for individuals with IDD. Read summaries of previously collected data. This promising practices database highlights innovative policies and strategies that state IDD agencies are using to increase integrated employment opportunities. The national landscape is changing, with an increasing emphasis on community employment opportunities for individuals with IDD. This activity focuses on community rehabilitation providers (CRPs) engaged in practices that reflect individual integrated employment as a priority outcome. Real Work Stories shares stories of people with IDD who are thriving in competitive jobs in their communities. The stories highlight these individuals’ achievements, and also showcase how state agency staff have helped them get hired and maintain fulfilling careers. These profiles advance ICI’s work cataloguing and analyzing state Employment First initiatives, legislation, and policies. Project staff are developing a cross-state summary of state performance, policy, and strategy, as well as barriers and opportunities experienced while implementing an Employment First approach. The National Survey of CRPs began in 1993, and collects data on CRP characteristics, service distribution, and employment outcomes. The survey is implemented approximately every 5 years, most recently in 2014–2015.